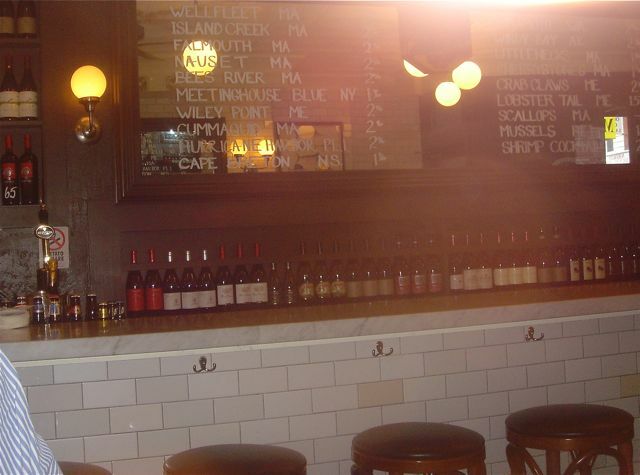 One of my favorite restaurants in Boston is Neptune’s Oyster in the North End. I have a weird way of ordering the fried Ipswich clams with the bellies. I order a half order at a time so the second batch is as hot as the first batch. This time I ordered 1 1/2 orders and got an half order first and then a full order second. Vinny pictured below was terrific and when I gave him the order he asked if I was lizziee from LA. I don’t know if this is a good thing or a bad thing, but I certainly have a reputation. 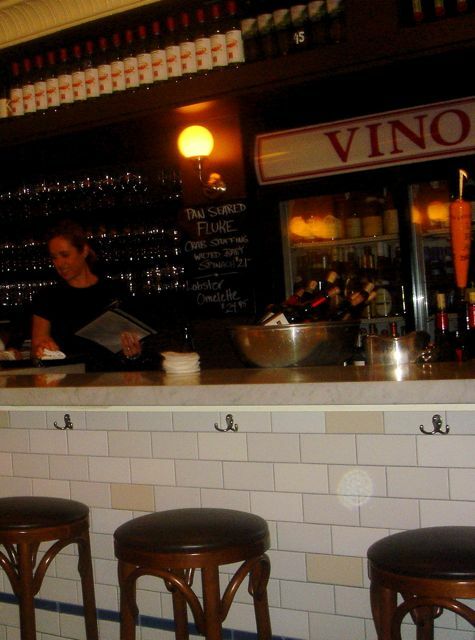 Neptune is a small restaurant with most of the seats at the bar. As they take no reservations, I usually plan my flight from LA to land on the early side so I can have a late lunch at Neptune and not be stuck in a long line waiting to be seated. What a girl will do for fried clams with the bellies!! 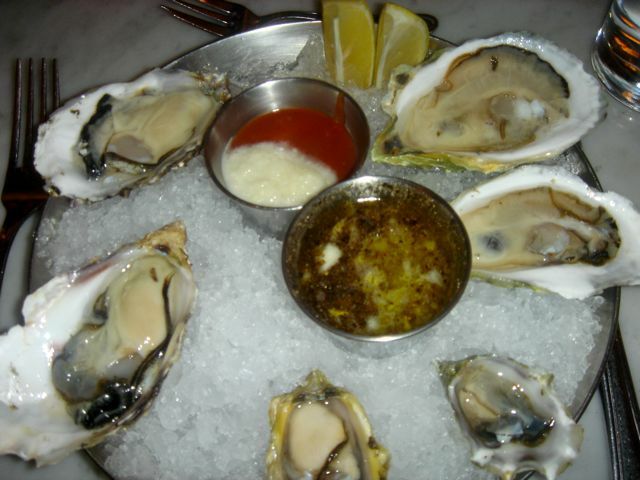 The oysters at Neptune are terrific and you check off from the list what you want. 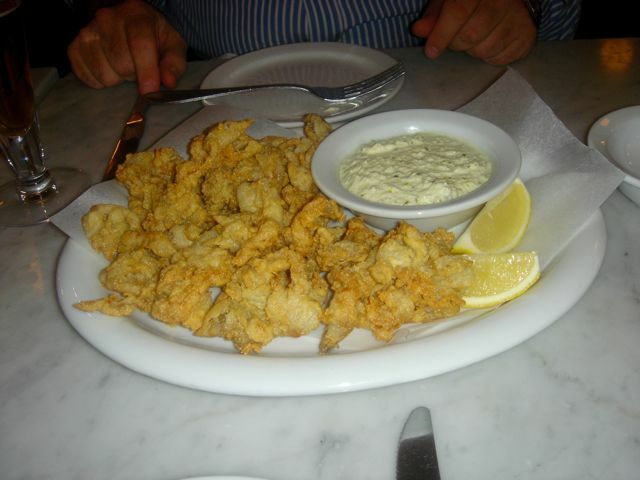 My first order of fried clams were stupendous – lush bellies, juicy, just perfect. Just see those beautiful chunks of lobster, perfectly cooked. 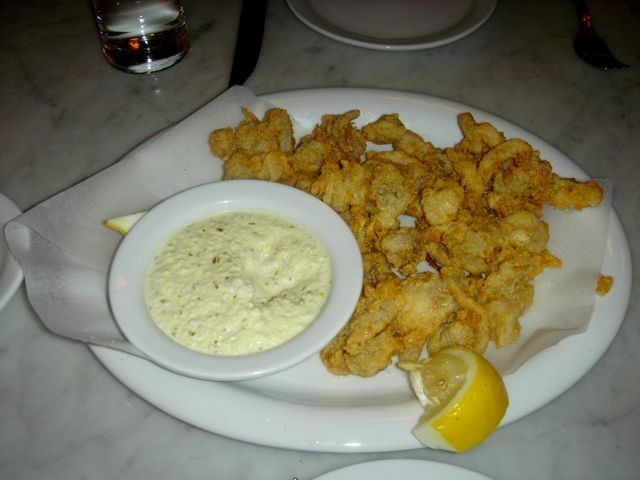 Unfortunately my second order of fried clams had been overcooked – a couple in front were OK, but most were dry and shriveled. To Vinny’s credit, it was taken off the bill. Now, I did a sort of no no and decided to take a photo of what our neighbors were eating as most of my photos from Neptune are nothing but fried clams. Descriptions are edited versions from the on-line menu. This is essentially a gastropub version of a clam shack – fun, casual, very busy, great service with a very friendly neighborhood vibe. Never let it be said that I don’t travel on my stomach. We scheduled our plane reservation based on the fact that we would arrive in Boston to catch an early lunch at Neptune Oyster. Exactly at 11:30, just as they were unlocking the doors, we were seated, ready and waiting. 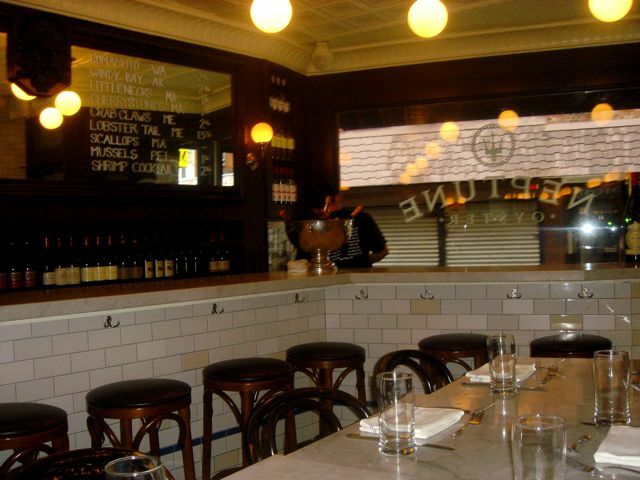 The place is cute, somewhat of a hole in the wall with a huge long bar area for those who want to eat there. My husband started with clam chowder. 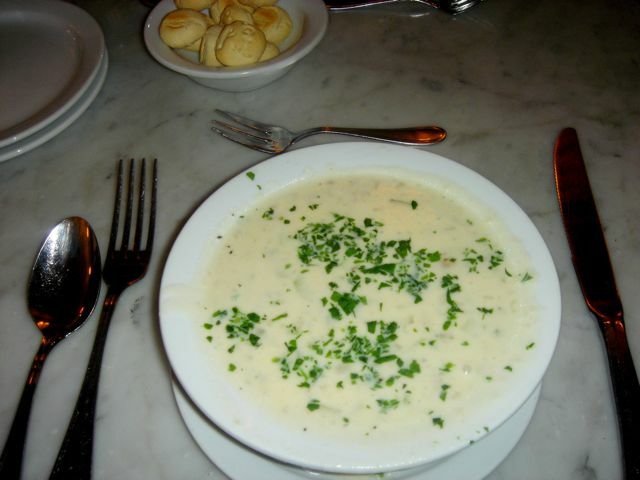 He happens to like a thicker version, but I thought the chowder was much more authentic as served – not gummy, gluey with too many potatoes and too much cream. Now we ordered fried clams. They didn’t realize that we each wanted an order, but as it turned out this worked out in our favor. We ate the first order piping hot and then got a second batch, equally piping hot. I had clams three other places on this trip and I must say that these were the best by far. Wonderful place and I would give anything to have this restaurant transplanted to Los Angeles.